At Q1 Dental, we believe in providing the best possible experience for our patients by making their dental health and satisfaction our topmost priority. Our dental clinic is equipped with best modern dentistry has to offer. We make sure to provide multiple solutions under one roof. Our main goal is to help you restore, achieve, and maintain a healthy smile for a lifetime, free from dental issues and hassle. If you need an emergency dentist in Melbourne, we offer same-day appointment for dental emergencies. Call our office at (03) 9078 1955 during our business hours to schedule an emergency appointment that is most convenient for you. Our team responds to emergency calls as they come in, as quickly as possible. Schedule Your Next Appointment at Q1 Dental! If you need any of our dental services, schedule an appointment today with your trusted Melbourne dentist here at Q1 Dental. We offer a wide range of special offers to make dental care more affordable and accessible. 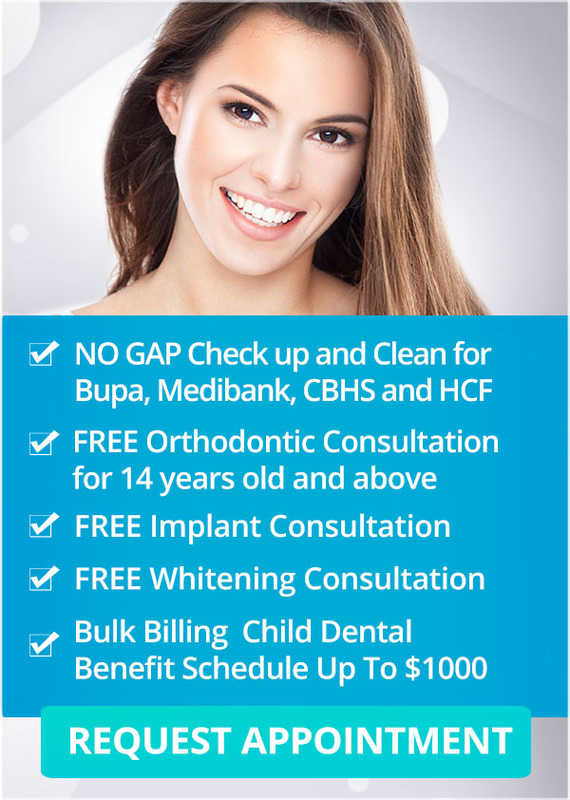 Take advantage of our special offers for check-up and dental clean, teeth whitening, dental implants, orthodontics and child dental benefit schedule. For more information, go to our special offers page.